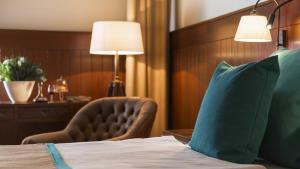 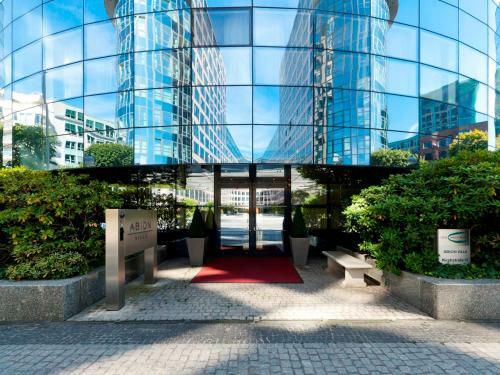 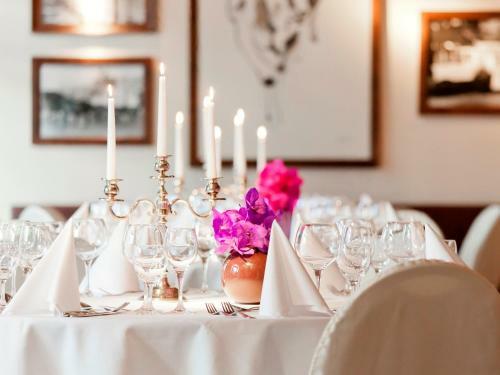 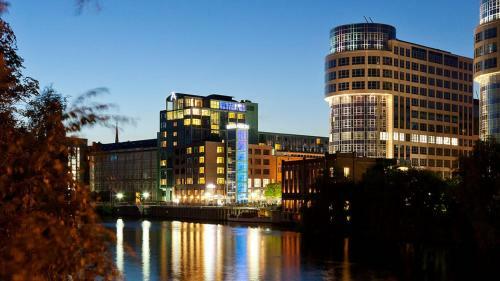 This elegant 4-star hotel is located on the River Spree, just 500 metres from Tiergarten Park. 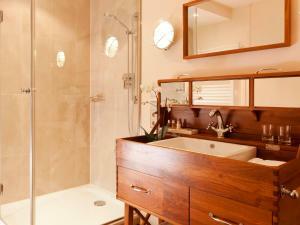 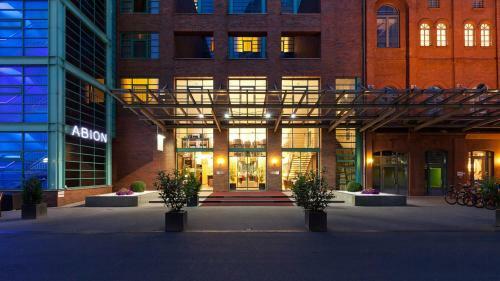 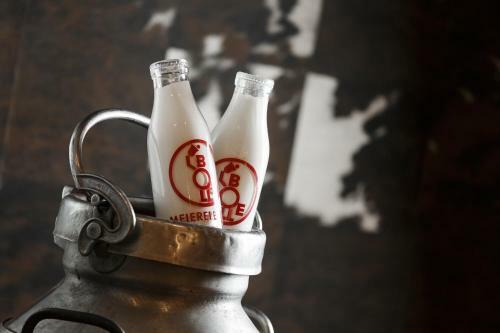 It is 1 stop from Berlin Main Station, and perfectly placed between the Ku'damm and the Mitte district. 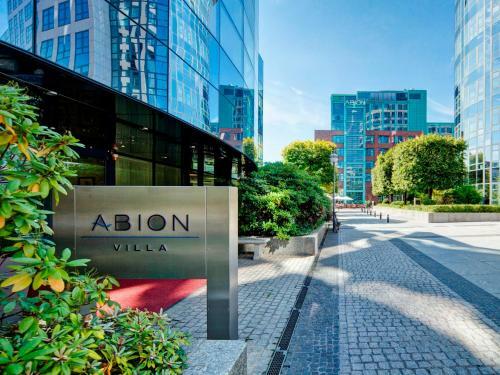 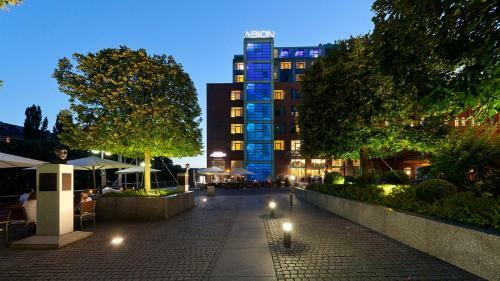 Abion Spreebogen Waterside Hotel offers spacious, brightly decorated rooms with satellite TV, a safe, minibar and work desk. 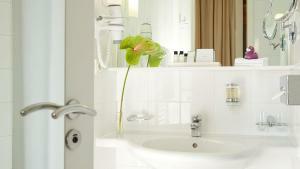 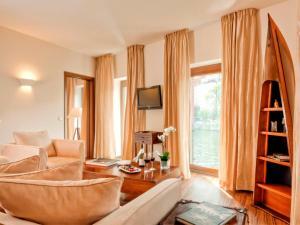 Some rooms enjoy scenic views of the River Spree and all include highspeed WiFi free of charge. 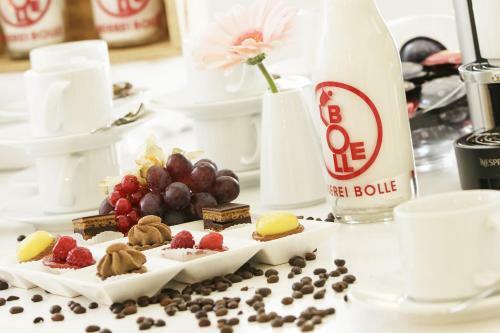 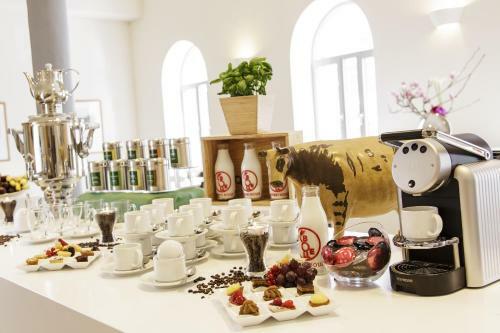 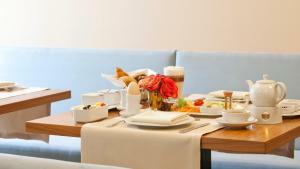 A daily breakfast buffet is served the Alte Meierei restaurant. 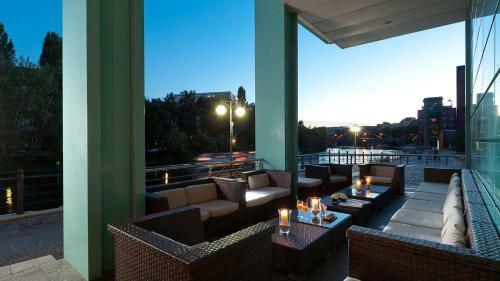 Guests can enjoy lunch, dinner and exotic cocktails overlooking the River Spree in the the Lanninger Restaurant with its bar and smokers' lounge. 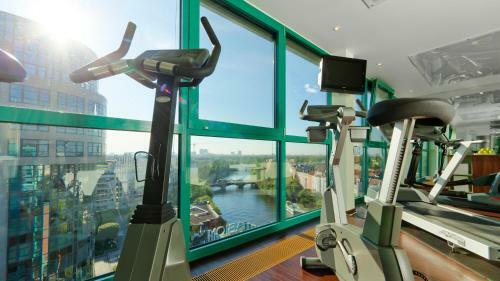 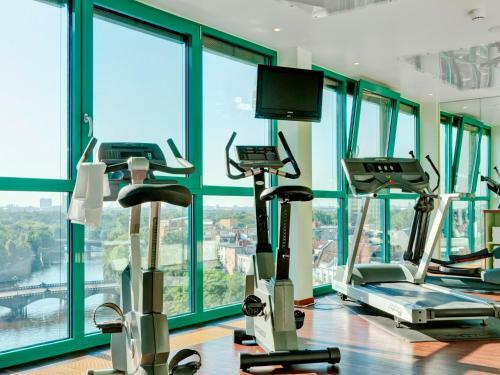 The Abion’s large fitness studio on the 9th floor offers excellent views of Berlin. 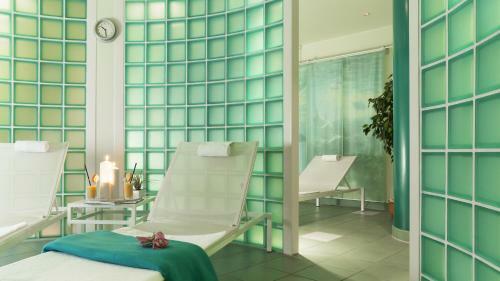 It includes a sauna and solarium. 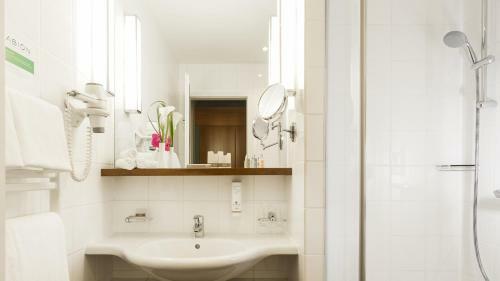 Sights such as the Reichstag and the Brandenburg Gate are just a 25-minute walk from the hotel, and Turmstrasse Underground Station is a 5-minute walk away. 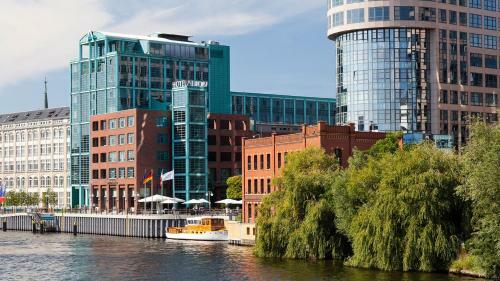 Bellevue S-Bahn Train Station is also just a short walk away across a bridge over the River Spree. 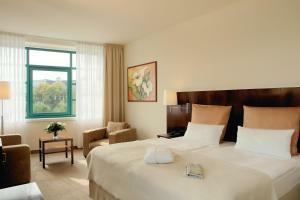 Please note that for bookings of 10 rooms or more, different policies and additional supplements apply. 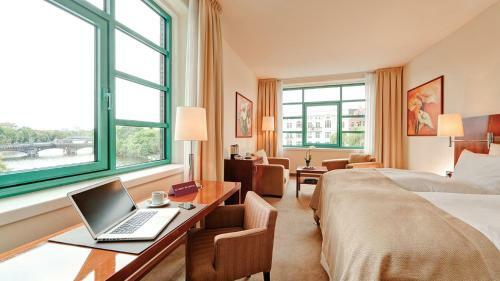 Spacious room with free WiFi access, a cable TV, minibar and a private bathroom. 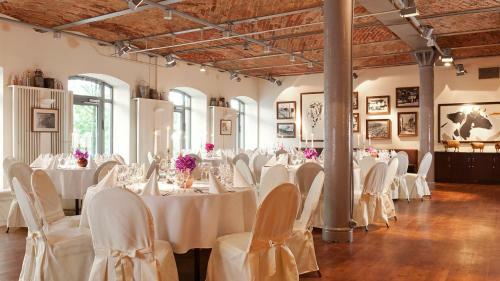 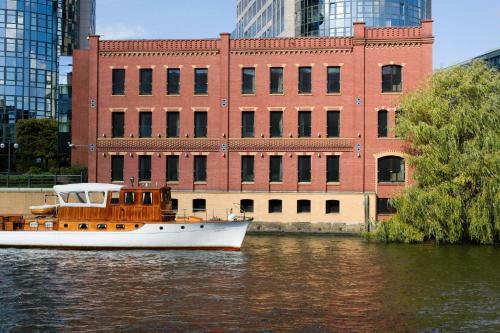 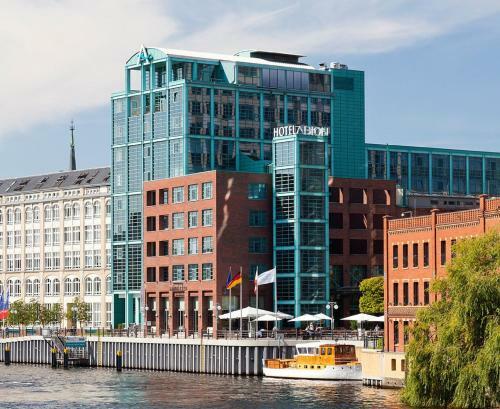 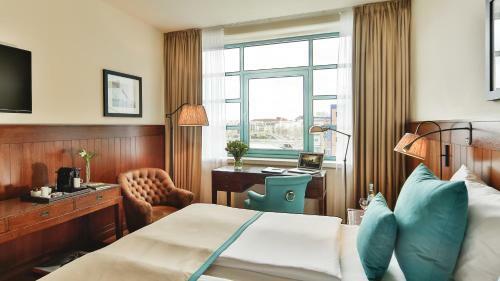 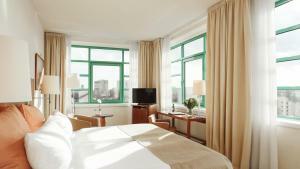 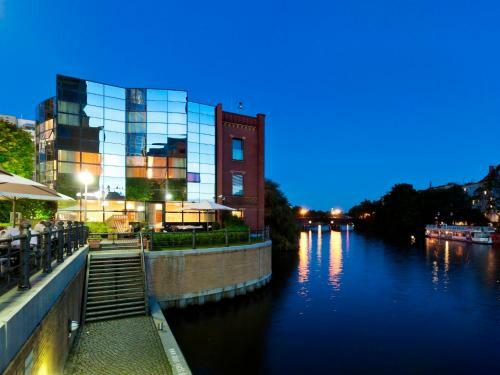 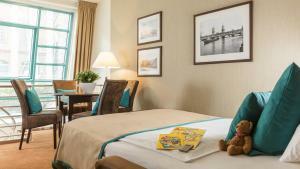 The Waterside room features large windows and offers scenic views of the River Spree. Includes air conditioning, a cable TV and free WiFi. Additional comforts include bathrobes, hot drinks facilities and a daily newspaper. 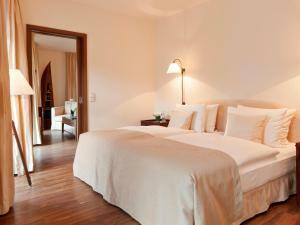 Spacious room with satellite TV and a private bathroom. 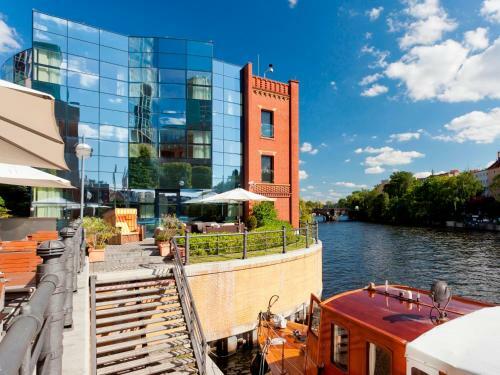 Offers a separate living area with comfortable sofas, and views of the River Spree. 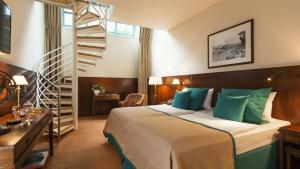 Set on 2 floors, this Maisonette Suite features stylish dark wood interiors and decorated in fresh, contemporary colours. There is a large bedroom and bathroom downstairs and a separate living area with a conference table and sofa bed upstairs. The Deluxe Maritim room features stylish dark wood interiors and decorated in fresh, contemporary colours. 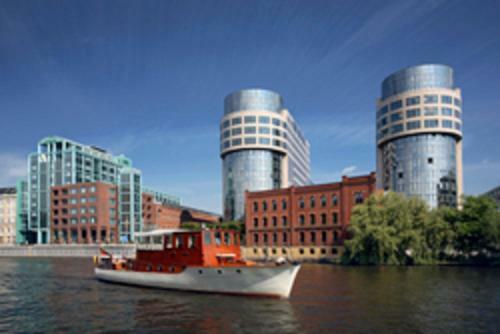 Offers scenic views of the River Spree.